Aaron Murski is a managing director at VMG Health and is based in the Dallas office. His focus has been on developing client relationships and providing valuation, transaction advisory, and operational consulting services in the healthcare services industry. Specifically, he has significant experience with the acute care and specialty hospital, physician practice, inpatient rehabilitation, cancer treatment, ambulatory surgery center, and diagnostic imaging segments. In addition to the extensive valuation experience for transaction planning and financial reporting purposes, he has consulted on numerous development, feasibility, and recapitalization analyses for joint venture, restructuring, and denovo business development purposes. Clients include for-profit and not-for-profit health systems, ancillary services providers, development companies across several healthcare industry sub-specialties, and other publicly owned and privately held healthcare entities. Mr. Murski is also the lead research associate and collaborator in the development and publication of the Intellimarker Multi-Specialty ASC Benchmarking Study published annually by VMG Health. The Intellimarker presents hundreds of operating and financial benchmarking statistics using data from approximately 200 ambulatory surgery centers from around the country. 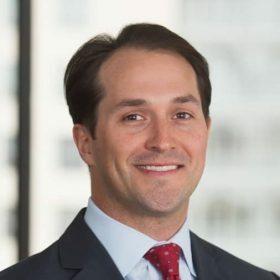 Mr. Murski received a Bachelor of Business Administration in Finance from the Mays Business School at Texas A&M University, is designated as a Certified Valuation Analyst (CVA), and pursuing the Chartered Financial Analyst designation from the CFA Institute. He is also a member of the Healthcare Financial Management Association (HFMA) Lone Star Chapter and the Physician Hospitals of America (PHA).